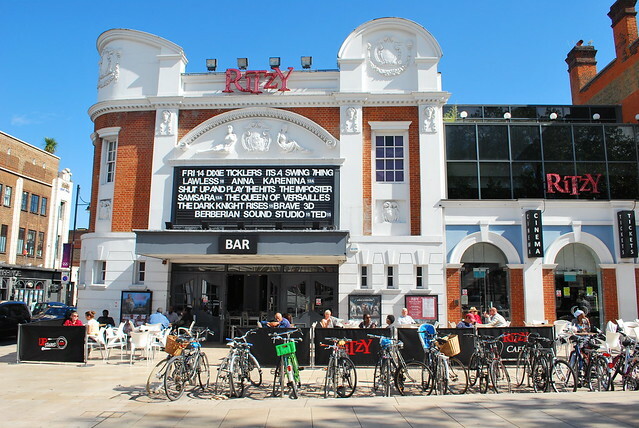 Brixton has always had a unique character largely created by the strong African/Caribbean community and influence and is an exemplar of how a multi-cultural community can develop with strong local authority support and public and private sector investment. Hopefully, this will not be negatively affected by gentrification in some parts of the centre, but it is a highly resilient area and has shown how it can manage its own issues. The area has matured positively since the devastating riots of the 1980s and has tackled its stereotype of a no go area with drug and gang culture. It has managed to tackle very serious and destructive inner city problems but both community and local authority representatives accept that there is still a long way to go. It shows how a place can been regenerated by strong economic investment, physical change and collective community support. It could be inspirational to other similar areas in London and elsewhere. The area is an exemplar for the encouragement of independent, sustainable business developments with enthusiastic public sector support. The area manages to support a range of interesting and innovative regeneration initiatives as well as some sensitive and committed social and community projects which tackle some complex social and poverty issues. It highlights how urban living and place making is not just about planning and buildings, but is predominantly about people and their willingness and energy to improve and invest in their surroundings and their local economy. Brixton is a fascinating and incredibly diverse area with a long history of multi-culturalism and settlement by the African-Caribbean community. It has had its own distinctive identity for decades and the area has matured positively since the devastating riots of the 1980s. The recently developed Windrush Square and the street markets contribute to Brixton’s unique character. A heart has been created where before there was an unfriendly traffic island, and a variety of social and economic regeneration projects have breathed a fresh sense of pride into living, working and visiting Brixton. Lambeth Council, working with local people and agencies, has tackled many inner city issues which contributed to a negative public image, such as drug dealing and gang culture and a declining market, retail and business sectors; without losing the vitality and diversity that it is famous for. It has changed from a ‘no go’ area to an attractive and inviting place to live, work and visit. As most of the urban regeneration projects in Brixton are built around the recent history of the area, the local community has been drawn in and engaged with the changes. The political and social focus is on pride, character and people, and projects have worked hard to tease out local distinctiveness and character. The centre of Brixton is intensively used and is very vibrant and pedestrian friendly. The street pattern is confusing but permeable, so wandering around and getting to places is relatively easy and always revealing. Most of the streets that are non-residential have retail, bars and restaurants and are buzzing, with a wide range of uses and the occasional blast of loud reggae music. Brixton has always had a unique character largely created by the strong African-Caribbean community and influence. Currently this community and the new initiatives appear to be in balance, but assessors felt that there is a risk that over-gentrification may create new divisions between the different communities seeking to live, work in and enjoy the character and diversity of the area. Brixton is an exemplar for the encouragement of independent, sustainable business developments supported by, but not necessarily initiated by the public sector. Whilst assessors were concentrating on the regeneration of the small scale commercial and retail area in the traditional centre of Brixton, we also visited some of the adjacent housing estates, of varying ages. Care has been taken to maintain these and upgrade the green spaces providing a ‘ring of confidence’ around the town centre without which the centre’s regeneration might have been less successful.